Situated in the peaceful Southeast corner of Medina County, Wadsworth’s quaint small town feel sets the tone for a wonderful place to call “home”. Selected by Money Magazine in 2008 as one of the “25 Best Places for Affordable Homes”, Wadsworth offers a little something for everyone. The quality of life in Wadsworth is outstanding, with low crime rates, plenty of employment opportunities, an incredible local school system, several universities nearby, and a diverse housing market for rental and purchase. Wadsworth’s size makes it the third largest city in Medina County, and the surrounding townships just add to the small town flair and varied amenities. The Akron-Canton Regional Airport (22 miles) and Cleveland-Hopkins International Airport (30 miles), both service the area for air travel. But, don’t forget the Wadsworth Municipal Airport, as SkyPark is for local and recreational aviation. With the Akron Rubber Ducks, Cleveland Indians, Cleveland Browns, and Cleveland Cavaliers so close, sports entertainment is right around the corner. Wadsworth has a population of approximately 21,000, and Medina County has a population of approximately 170,000. The four-season climate lets you appreciate all seasons, with an average annual temperature of 50 degrees. With an elevation of 1,168 feet, Wadsworth has a variety of landscapes; from rolling hills, to sprawling plains, to our historic downtown. With three distinct business districts in town, you can always find what you’re looking for; from antiques and crafts, to high-tech. With over 200 acres located in 17 parks throughout the city, the great outdoors isn’t too far away. The Wadsworth Fire Department and Emergency Medical Service provides fire and emergency medical care for the City of Wadsworth and Wadsworth Township. The department serves a 25 square mile area from two locations. Robin L. Laubaugh is serving her second four-year term as Mayor of Wadsworth. 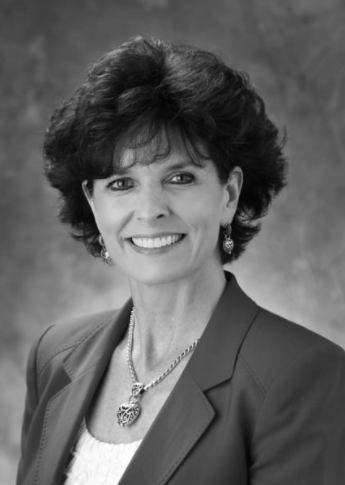 As Chief Executive Officer to the city government of Wadsworth, her most important duty is her appointment of the Director of Public Service, The Director of Human Resources and the Director of Public Safety. These appointments help the Mayor to effectively administer city services to Wadsworth’s 25,000 residents and to supervise the city’s 229 full-time, 17 part-time, and 95 seasonal employees, as well as its 47 Fire and EMS volunteers. Additionally, the Mayor appoints many citizens to serve on the more than 20 volunteer commissions and boards which benefit the community as a whole. The Mayor regularly participates in City Council meetings, where she has the power to sign new legislation adopted by City Council or veto those ordinances that she opposes. Between city meetings, Mayor Laubaugh is busy attending various community events, meetings with officials from other municipalities, and other ‘ceremonial’ functions. The City Council of Wadsworth consists of eight Council members, including the Council President, four Ward Council members, and three At-Large members. Wadsworth City Council members are elected to their positions as part-time public servants. Each serves for two years, with the current terms beginning January 1, 2014, and continuing through December 31, 2015. Council members for the 2014 – 2015 term include a returning Council President, four Council members, with a new Council Ward 1 and two, new at-large new members elected in November 2013. Council Ward 2 was appointed in July 2014, following a resignation and vacancy. The Council as a whole strives to promote the safety and economic well-being of the Wadsworth community. To this end, the Council interfaces both with the general public and the City Administration. They facilitate safety and economic development initiatives; track changes and improvements for city life and services; authorize budgetary matters, and pass legislation to accomplish the goals of the City. The City Council meets twice a month for a legislative and reporting meeting on the first and third Tuesday of each month, at 7:30 p.m., in City Council Chambers, 120 Maple Street. Please see the public meeting lists for occasional exceptions (two or three times) in the year. Please visit the Council web page again for additions and updates on Council members, committee meetings and minutes, public hearings, and legislation that’s been passed. For the code of ordinances, please click here or go to wadsworthcity.com/the-city/code-of-ordinance.html. 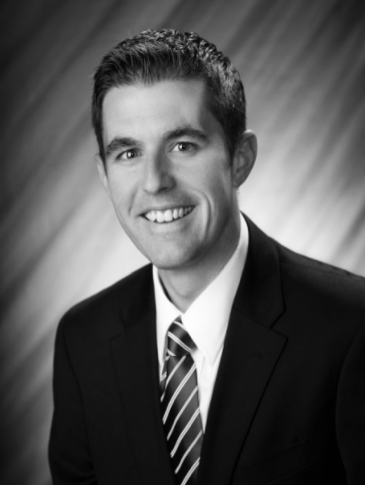 My name is Andy Hill and I am in my second year serving as Superintendent of the Wadsworth City School District. I began my teaching career at Rosary Cathedral Elementary School in Toledo, teaching a variety of subjects to seventh and eighth grade students. After two years of teaching, I became Principal of Rosary Cathedral, serving in that capacity for three years. I then had the opportunity to become Principal of St. Francis de Sales High School in Toledo, a position I held for three years prior to moving back to northeast Ohio with my wife and children to be closer to our family. I was the Principal at Crestwood Middle School for three years. Most recently, I was Superintendent of the Waterloo Local School District for three years. I hold Bachelor of Science and Master of Education degrees from the University of Toledo and a Doctorate in Educational Leadership, Management and Policy from Seton Hall University in South Orange, NJ. My wife Dawn, whom I met at the University of Toledo, is also a teacher. We have two young children, Livia and Ajay. We recently moved to Wadsworth and look forward to raising our children in this great community. I am excited to have the opportunity to work with you and your children. I consider myself very fortunate to have the chance to be part of this community and I look forward to collaborating with you, our faculty/staff, students and Board of Education to make our schools the best they can be. Please feel free to contact me at 330-335-1301 or at wadc_ahill@wadsworthschools.org if you would like to discuss our school district, either by phone or by setting up a meeting.